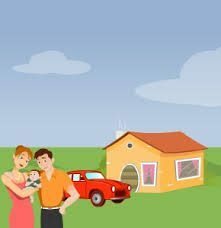 In my Career as an Insurance Advisor, I have spoken to clients about how to save money on the car and home insurance, at least on the areas that they can control without much effort. I am not sure about the going rates of Insurance premium in the territory that you live in. But I do know that there are factors to watch out for to avoid a hike in the insurance premium regardless of the geographical location that you hail from or provincial regulations that you would abide by. So, here I am, your friendly neighborhood Insurance Advisor, took the liberty of compiling a list of top ten factors that could save you some money on your car insurance. Dig in! 1. Always, always get quotes before you actually go and buy a vehicle that interests you. Come on, admit it! When it comes to Consumerism, majority of us are impulsive shoppers. Consider this scenario- We start shopping, in this case for a new vehicle and we end up purchasing/leasing/loaning a vehicle from the first dealership/seller we lay eyes on. Inquiring about Insurance rates always comes as an after thought. As your Advisor, I would say, this is not a good practice. In worst cases, the premium I will quote you on your newly acquired car could be high to handle and it had happened to very many of my clients. So, best practice? Call me with details on few of the vehicles you are interested in acquiring and I would give you quotes on them. This way, you will have a good idea on what you are getting into before purchasing the car. 2. Just like you shop for the vehicle of your choice, also shop for the insurance companies of your choice. Spending some time in calling around looking for affordable rates will certainly pay off in the long run. 3. Sometimes, you feel a certain sense of loyalty to the Insurance company that you are with, especially if you are a client of theirs for five to ten years or more. Don’t let this loyalty stop you from shopping around because you might be pleasantly surprised at the rates of other companies in the Insurance Market. Every penny that comes out of your pocket counts so put in your penny where it benefits you the most. 4. Let’s say that you are already a customer with a certain Insurance Agent/Company and have been with them for several years. Chances are you never took time to call them up and review your policy coverage. It’s very important to have a need- based coverage so that you pay the premium for your needs. This is the time to check if you are getting all the discounts that you are supposed to get so that your premium will go down as a result. 5. When you buy a car, specially a pre-owned or from a private seller, always make sure to check the history of the vehicle. Has it been in any accidents recently? Was the car repaired for any reason previously or was it totally destroyed in the after math of an accident and is now branded ‘rebuilt’? This could be the reason for some Insurance companies to decline you based on their underwriting reasons or charge you higher premium because of the nature of the risk. In Canada, the buyers have provisions to order a Used Vehicle Information package from MTO where you get some of the details on the vehicle history. 6. Try to be mindful of your driving record and steer clear of avoidable accidents and tickets. I know what I said here is not totally in your control but try to minimize the speeding tendencies on the road and that road rage which overcomes the good driver in you once in a while. Both are bad news when you consider the chances of maintaining a perfect driving record. 7. Young drivers (say under 25) could get bombarded with higher premium generally. This is again an unavoidable situation because they need to start at some point and they do not have any previous insurance or driving history. Starting from scratch as a driver is not easy and the rates you would be looking at would not be pretty. In Canada, there are provisions for young drivers to take Ministry approved driving lessons which makes them eligible to get some discounts when they call for Insurance. What you gain from these types of courses is a good understanding about driving safely and also saving a bit in your insurance premiums. Not bad, isn’t it? 8. Another factor I have noticed is Insurance is rated based on where you live as well. So for example, a client bought a new home or moving to a new rented apartment and calling me to change the address in his car insurance. Based on the postal code, the premium could go up or down. Rates are based on the risk exposure factor involved in the postal code. It means that too many claims get reported from a certain postal code increases the premium for that area. Vice versa could happen too- fewer claims, better premium. Again, my advice here would be- if you are renting an apartment, first get the addresses of possible locations you could move to and call for quotes for each of them. And go for the cheapest postal code and get it insured. I cannot tell you to do the same when buying a house because acquiring a house is a huge decision and investment and more than worrying about insurance rates, I am sure you will have other things in mind. But still do keep in mind the principle of taking time and shopping for good locations to live in, either for renting purposes or owning so that you could get best insurance rates. 9. Be mindful of the driver you are lending your vehicle to drive. Clients ask me if it is okay if he let his friend/neighbor/relative drive his car for whatever reason. I would tell you what I have told them. “When you lend your car, you lend your insurance”. If your friend ends up in an accident (going for the worst, let’s say At Fault accident), that accident will go in your perfect driving record, even though you were not driving the car or not even in the car at the time of the accident. Result? You would end up paying increased premium for that accident until it is removed from your record. 10. 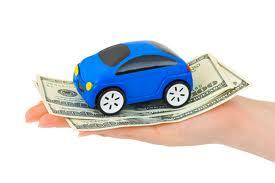 Last but not the least, I would like my clients to be reasonably knowledgeable about how car insurance works. My job as an Advisor is to make sure that you make informed and educated decisions on your policies so that there is little or no room for error in understanding where you stand as a policy holder. Most of the times in my experience, I have seen a client operating without a clue when handling his or her policy. For them, all that matter is paying cheaper premium and that is it! But sometimes, that is not all. It is also about the coverage. When you buy Insurance, you buy peace of mind in knowing that your assets are properly protected. You pay fees and we protect your assets for you. God forbid, a loss happens and we will be there to indemnify you using the coverage that you purchased from us just for this purpose. I do not want you to realize at the last minute that the coverage you had was insufficient for us to protect you at the time of loss. A word of advice? Reevaluate your coverage once in a while and if you think that you need to tailor the insurance coverage based on your needs, go ahead and do that even though it involves a bit more money than you originally planned. For that, you need to learn about the basic principles of insurance and how to make it work to your advantage. And that is why I am there for you. 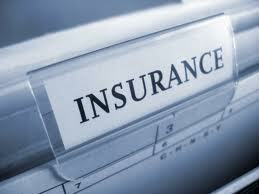 Ask me and I will be more than happy to shed some light on your Insurance questions. Did you find these pointers helpful? Do you think that the knowledge you gained from here will be helpful in handling your own car insurance needs? That makes a lot of sense to get insurance quotes before you buy your vehicle. You’ll want to make sure your budget is ready for your vehicle in every way. Also, be sure to avoid having an accident since that will raise your rates.